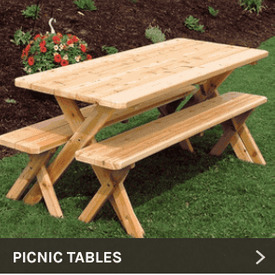 Get all the classic appeal of an old-fashioned picnic table, with heightened styling. 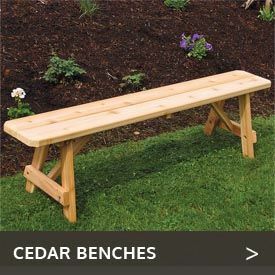 The detached benches make getting to and from the table easy, without requiring any swinging legs. 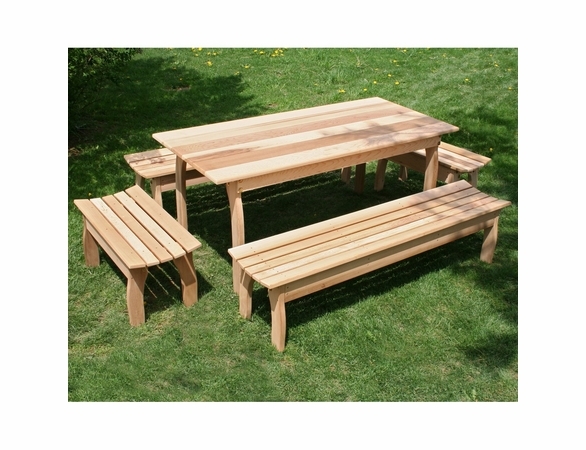 Plus, the use of four benches provides plenty of space for big families. 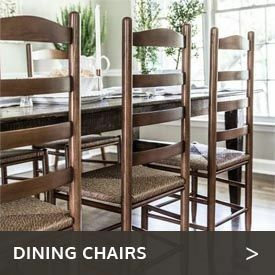 The nice wide table top was made for passing dishes in family style meals!